In the wee hours of Monday, Indian radars detected Pakistani fighter jets flying close to Khemkaran sector in Punjab. New Delhi: Indian radars on Monday detected a large-sized UAV and package of 4 Pakistani F-16s flying close the to Indian border in Khemkaran sector in Punjab, news agency ANI reported. As per the report, India scrambled Su-30MKIs and Mirage jets in response, after which the Pakistani jets retreated further into their territory. As per a report, the incident happened in the wee hours of Monday. Earlier on March 4, the Indian Air Defence radars detected an unidentified flying object from Pakistan. The Pakistani drone which violated the Indian airspace near Bikaner-Nal sector area in Rajasthan was shot down by a Sukhoi 30MKI at 11.30 AM. 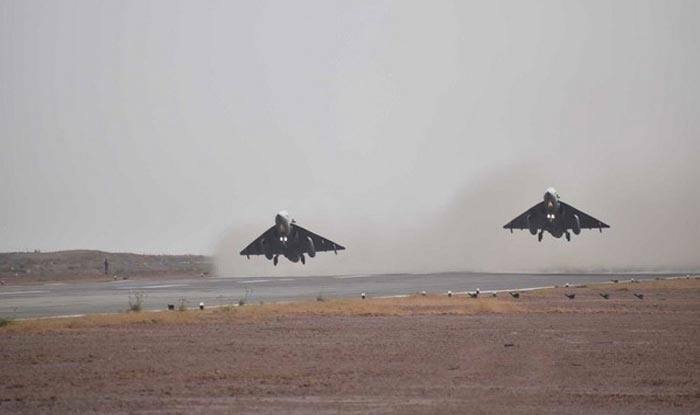 On February 26, in a pre-dawn strike, combat jets of Indian Air Force bombed terror camps at multiple locations across the Line of Control (LoC) on the Pakistani side, 12 days after Pakistan-based Jaish-e-Mohammed (JeM) terror group carried out the dastardly Pulwama attack in Kashmir.